Browse bar-equipments suppliers by country and region. Short on time? 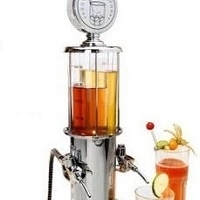 Let bar-equipments sellers contact you. 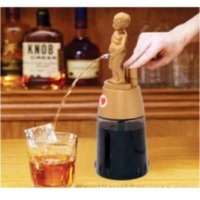 Bonny Boy Liquor Dispenser:- Pouring liquor from its bottle every time you make a drink, is so old fashioned and boring as well. 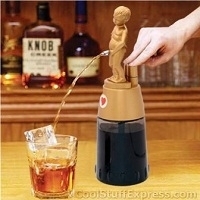 So buy this bonny-boy liquor-dispenser to make your drink serving experience fun and more enjoyable. 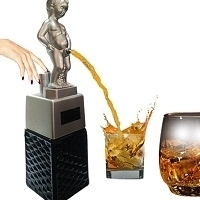 This funny yet cute liquor dispenser takes its inspiration from the very famous Manneken Pis fountain located in Belgium. 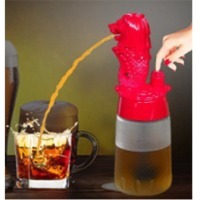 Just fill its bottom container with your favorite drink and it will be ready to serve it by a single push button operation. 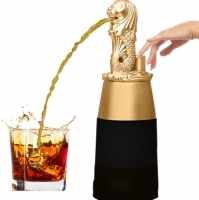 Place it in your home bar or kitchen top for cocktail parties. Your guests are going to love it. 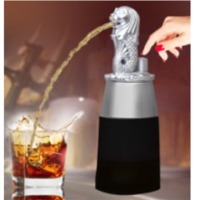 This easy to use leisure liquor dispenser runs on 2 AA batteries. (not included). 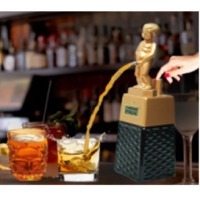 This new charming retro liquor dispenser is sure to be an instant conversation starter! 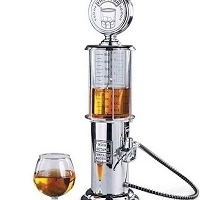 Featuring a unique design that looks like an old-fashioned gas pump, the Gas Pump Liquor Dispenser has a silver-plated body that is tarnish resistant and a durable, see- through plastic reservoir with measurements for you to monitor drink levels at all times. 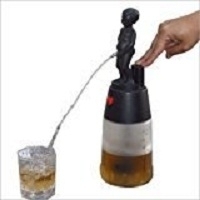 Pump up to one liter of your favorite drink and fire the Wild West style pistol at will. 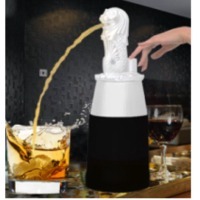 A fantastic item for parties and celebrations, you can set your own "fuel" prices today and let your guests pour away! 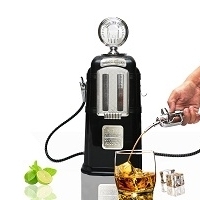 Pouring liquor from its bottle every time you make a drink, is so old fashioned and boring as well. 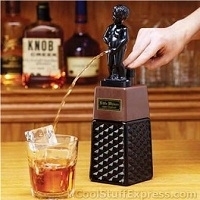 So buy this bonny-boy liquor-dispenser to make your drink serving experience fun and more enjoyable. 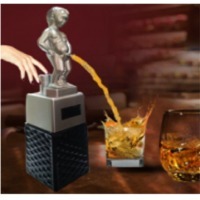 This funny yet cute liquor dispenser takes its inspiration from the very famous Manneken Pis fountain located in Belgium. 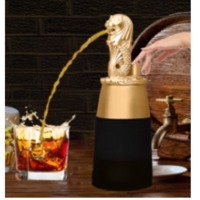 Just fill its bottom container with your favorite drink and it will be ready to serve it by a single push button operation. Place it in your home baror kitchen top for cocktail parties. Your guests are going to love it. 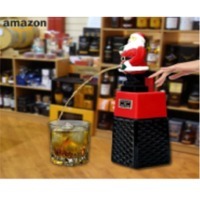 This easy to use leisure liquor dispenser runs on 2 AA batteries..